Jesse Thomas has been using Strava regularly now for over 2 years as a professional triathlete, see what he has to say about using it for training. Guest post by Jesse Thomas. When I first started training for triathlons back in 2007, my buddies and I determined our fitness, self worth, pecking order and who bought beers by our times up the many local climbs in the Santa Cruz mountains of California. Legends were born by times up climbs. We talked about how fast the local Pros went, and when one of us set a PR or one-upped the other, it was either a celebration or time to go out and try to earn the title back. Of course, it was all on the honor system. You never really knew if Tbone rode 15:45 up Old La Honda, or if I really rode up Kings Mountain in 25 minutes with no hands. But we trusted each other and there was no glory in cheating a time. And just to be clear, Tbone did ride 15:45 (he’s now ridden 15:33 Strava Official) and I did ride up Kings in 25 minutes with no hands – maybe my greatest athletic accomplishment of all time. So anyway, when Strava debuted, I instantly got it. We could now compete with anyone and everyone on any segment we wanted to. We could track our own improvement in a standardized way. It was golden. I’ve been using Strava regularly now for over 2 years as a professional triathlete, and my uses of it have adapted as my career has developed and the functionality of the system has grown. It’s my favorite tool for recording, quantifying, competing, tracking my progress, and sharing times, routes, and experiences with friends and followers. Better yet, as the community has grown and the company has added resources to support that growth, it’s become an even better tool with more functionality specifically valuable to triathletes. So instead of writing an instruction manual, I grouped some of my most common uses and non-uses for Strava into the following Do’s and Dont’s for Triathletes. 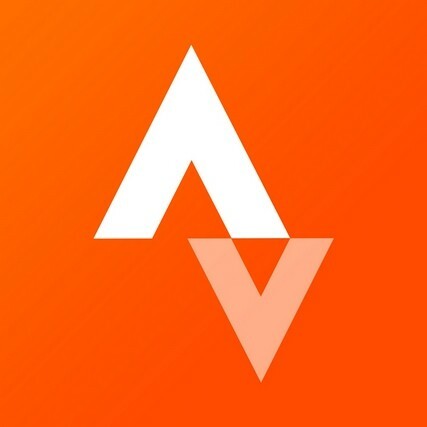 Some of them are aimed at those new to Strava and some are for the veterans. Hopefully they’ll help you get the most out of your experience. DO – Log all your workouts. This one is pretty obvious, and basically a requirement to get anything out of Strava, so I included it first. Run and bike workouts are easy to log with your GPS device – I use a Garmin 910XT for run, and a PowerTap Joule GPS for bike. I’ve found the easiest way to upload pool swim workouts is through the Strava app – Just press the “+” icon and enter the time and distance and whatever other details you want and you’re good to go. When I open water swim, I upload a 910XT file as well, which gives you the cool map graphic, so definitely do that as well. And yes, you can technically upload a 910XT file for pool swims, but it looks no different than a manual entry and swimming in the pool with a watch is a little too triathlete for me. DON’T – Leave your GPS on when you drive home after your run/ride. Don’t be that guy that gives everyone an alert that their KOM has been destroyed because you drove 60 mph through a 7 mile segment. DO – Make up names for your workouts. Some of my recent examples are – “Getting dropped by Betsy,” or “New Road + Smith Rock = Bueno” Sometimes I put the workout in there, but I also try to describe something interesting, funny, or random about the workout, route, like, “10×6 and my legs hurt a lot. So did Ricks.” A couple of my favorite workout-namers that I follow are Jené Shaw, my editor at Triathlete Magazine – “I got called a Clydesdale today,” & “Not a group run until Jessie’s shoelace comes untied.” Adam Bucklin, a local (Bend, OR) pro cyclist – “Unicorns and Radiologists!” “Hell-A-Dong Snow!” and “Corrupt File! Blow me!” Every one of his titles ends in an exclamation point. DO – Follow other triathletes. The real fun in Strava is following people and interacting with them. I’ve found it keeps me motivated and gives me someone to talk about my training to who won’t be bored out of their mind or go cross-eyed when I start to mention watts. I follow a mix of friends, people in the industry, local guys that I train with and other Pros. It’s up to you whose training you’d like to see and who you want to interact with. Clearly, you should follow me. Also you should follow Matt Lieto, if anything, because of the next point. DO – Comment, encourage people, interact with the community, and trash talk every once in a while. This is my favorite part of Strava, and why you should follow Matt & me. Kudos and comments enhance the experience immensely. Of course, it also opens the door for a bit of public trash talking. DO – Upload Instagram pics of your workout. If you connect your Instagram account and post a pic during or soon after your workout, it gets attached and shows up in your profile. It makes the workout look more interesting on the feed and gives people a feel for what it was like out there on the road or trail. Plus, it gives them something else to make fun of most of the time. DON’T– Forget that if you upload a non-workout picture to Instagram right after your workout, it will get attached to the workout. I have a couple of buddies who uploaded pictures of their baby, car, dog, and sandwich, which got linked to their activity. Of course, this can also be very funny. If you feel like calling your workout “Pancakes” and then uploading a picture of pancakes right after, go for it. You can always “un-link” from activity if this does happen. DO – Use the Training Log. Recently launched on the web, the training log is a huge value add for triathletes. On the “Multisport” setting you can see your total hours for each activity and total for all activities combined. I love the way that Strava has constructed this visually with area and color differences for different workout volumes and types. It’s a cool, more visual way to track your overall training load, and go back to and reference which what workouts you did when. DO – Test yourself on segments. Of course, segments are the real bread and butter of Strava. They are an awesome way to track your progress on real courses and compare yourself to your friends, pros, or your local nemesis. I have a couple of segments that I’ve used over the last few years as barometers for my fitness – one of which is the Koholas climb in Kona that I do as part of a training camp with my coach every January. DO – Log your races. For triathletes specifically, this is one of the most valuable aspects of Strava. Because we all race on the same course which can be divided into segments, you can compare yourself to pros and other age groupers across more than just the entire swim/bike and/or run. You can compare the flat section, the climbs, the downhills, etc. I’ve done this on my races to see where I made up time, and where I completely bonked. It’s a super valuable way to analyze your race in more detail. DO – Upload trainer session files – Many trainers nowadays have an Ant+ connection to connect with your Garmin, computer, or PowerTap, most of which can be uploaded. I just use my PowerTap wheel and upload my file from there. The workout doesn’t look as pretty in the feed because there isn’t a map, but it still adds it nicely to your Training Log and you can use the power analysis features to review the workout. Best Efforts Curve – which shows exactly what it says it shows. Again, the interface is super visual and user friendly. I love that it shows a continuous power curve as opposed to discreet 5 min, 10 min points, etc. You can also quickly compare between the last 6 weeks, year, or previous years. It also estimates your FTP based on your workouts, which I think is a more real and useful value than set up tests inside. Zone Distribution – Just simply shows you how much time you spent in each discrete power zone. Another useful tool to see the overall load of a ride. DO – Use Route Builder while traveling or even at home. This is a new feature that, as a traveling triathlete, I absolutely love. You simply input where you are, then turn on the Popularity Heatmap and you can see the local roads that other athletes ride most frequently. Then you can trace out a loop and “Use Popularity” to create the best route. It’s made a huge difference in my ability to ride or run without ending up on a no shoulder freeway or unrideable road somewhere. I’ve even used it to find routes that I didn’t know existed in Bend. Awesome! That’s it for now! Let me know what you guys think. Add comments below, on Twitter, Facebook, or of course on my Strava profile if there are any other Do’s and Don’ts that I missed. Also – I’ll be adding my own race files from the Wildflower Triathlon on Saturday afternoon, so feel free to check in and see how it went. Happy training and racing!